The AARP, the nation's leading organization for senior citizens, has just released a remarkable new study. Apparently, the new Medicare drug benefit provides a better deal for most seniors than importing drugs from Canada, a practice which the organization has long supported. "How is this possible? Everybody knows that Canadian drug prices are usually far lower than American ones," the AARP asks in an article describing its study. "That remains true. But Medicare drug coverage is insurance, so enrollees are charged copayments instead of full price," it concludes. Seniors who sign up for the new Medicare drug benefit receive subsidized coverage, which means they pay only part of the drug's cost — and they also receive insurance protection against the prospect of large drug bills in the future, neither of which Canadian pharmacies can offer. It's important to note that AARP does have a bias. It supported enactment of the drug benefit, and it offers its own Medicare drug plans in partnership with UnitedHealth. That said, however, AARP makes a strong factual case that seniors are indeed better off signing up for the new drug benefit than importing drugs from Canada. The AARP used a variety of examples — from seniors with plans that have low monthly premiums to those with higher premiums; from a $250 deductible to no deductible; from full coverage in the gap to no coverage in the gap. The AARP study concluded: "Nearly all of our interviewees would be better off financially, by varying amounts, under a Medicare plan, with those using the most drugs potentially reaping the greatest savings over the year." Also, the AARP study didn't include seniors with low incomes, who receive much larger subsides. 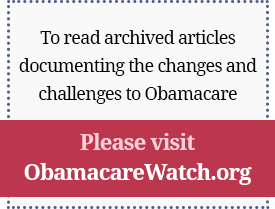 Nor did it include those who have integrated drug coverage through Medicare Advantage plans. Both of these categories of seniors would almost certainly do better with Medicare than with Canadian imports. Competition for enrollment among the private drug plans has played a key role in helping seniors get superior coverage. AARP notes that these plans "have been scrambling to win over customers with good deals for 2006." Competition is intense: While Congress expected the average premium for Medicare drug plans to be $37 a month, nearly every state has a plan with a $20-a-month premium and some plans offer coverage for as low as $2 a month. But that doesn't mean seniors are necessarily happy with the new offering. The news has been filled with early reports about seniors, pharmacist, and physicians being confused and facing roadblocks in filling prescriptions. Trying to enroll millions of people in a new program in a short time necessarily causes disruption, and this harkens back to when Medicare was first created in 1965. Social Security offices were swamped with questions. Patients and doctors didn't understand the new program, and seniors were complaining then that they hadn't received their new Medicare cards, just like today. Seniors today can call 1-800-Medicare or visit www.medicare.gov to begin the process of finding which drug plan works best for them. Many senior citizen's centers, community centers, retirement homes, and churches also are scheduling times with experts who can help seniors navigate the system. Seniors have until May 15 to enroll in a drug plan without penalty. A survey late last year by America's Health Insurance Plans found that 57% of seniors who had enrolled in a drug plan found the effort worth it, and only 16% did not. Almost all of them (by a margin of 56 to 9%) would recommend that their friends sign up. Medicare administrator Mark McClellan reported last month that so far, 21 million seniors are enrolled in the drug program, most automatically through their retiree health coverage but with one million enrolled in the competing private drug plans. Competition means choice, and choice can mean complexity. But the AARP has concluded signing up is worth the effort.